To bring 2016 off to a even better start.. here are some of my favourite trend overviews for this year, enjoy! Customer Experience Trends for 2016: its all about pre-sales and after sales support, wearable tech, apps, and getting digital and personal. 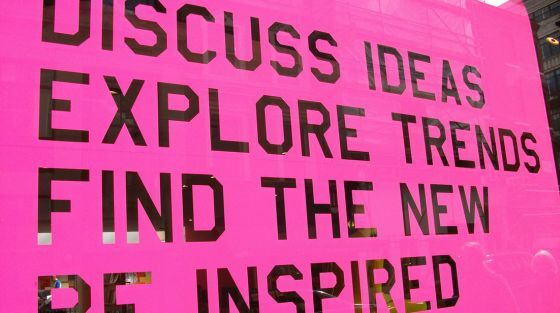 The 15 Tech Trends 2016, curated by Frog, that will transform industries in 2016 and beyond. 2015 has been a great year for Trndmrkr on all fronts: worked on great projects, for wonderful clients. We traveled to new places to work with multi-talented people to find the latest insights in the fields of automotive, public transport, FMCG, food & health, retail, digital sales, privacy, workforce and sustainability. More about this here. Thank you if you were part of it. And if you would like to be… looking forward to hearing from you! 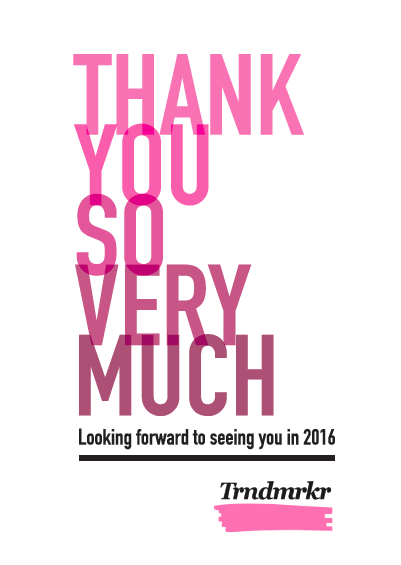 Reacties staat uit voor Thank You and Happy 2016!